But in order to make time for another thing in our lives, we not only have to make it a priority, but follow through on that commitment. 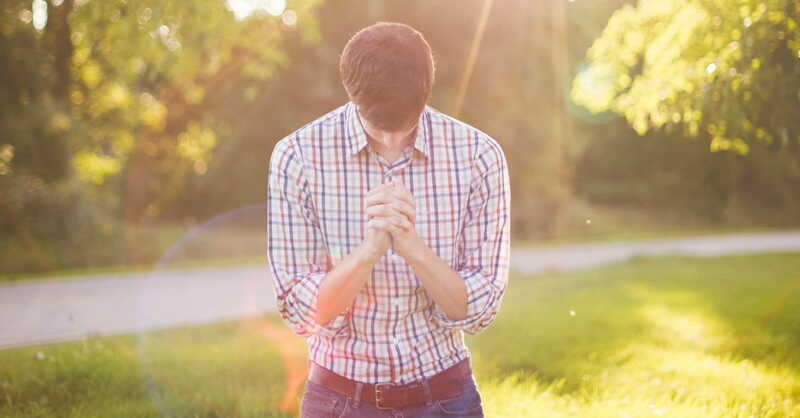 How do we make prayer a priority and stick with it? By making something a priority, you are saying that you will choose it over other things. By saying “yes” to prayer time, you have agreed that it is more important than anything else; you will willingly say “no” to whatever is going on normally at that time. Choose a time in your day that you know you consistently have time to pray. Start with two minutes. If you can’t come up with time, reevaluate how you are spending your day. For me, it’s not about the time; it’s remembering it consistently. I get so wrapped up in my day and list of things that I need to accomplish, I can literally blow through an entire day in what feels like minutes. But, there are times throughout my day when I’m also wasting time (social media, Netflix, surfing the internet, etc.) Set up a reminder on your phone at a time you know you will be available, or use a free reminder service like If This Then That (IFTTT). You’ve picked a reminder time that you know will work for you. Don’t hit snooze. Don’t push it aside. Use that time as it comes so that you begin to create a good habit in your life. Make a pledge to yourself ahead of time that you will honor this time. Let this reminder serve as a nudge from God to get the conversation started. In reality, that’s all prayer is: a conversation with God. And having daily conversation with God is key to keeping our lives on track and connected to Him. Stop making excuses as to why you don’t have time for a prayer life and just make the time. As we spend more time in God’s presence, we will long for more time in His presence. As a result, we will look up a few weeks from now and realize: “Hey! I have a pretty good prayer life.” As Stephen Covey put it, “The key is not to prioritize what’s on your schedule, but to schedule your priorities.” Let’s do that together, starting today. Laura Polk?is a writer, speaker, and textile designer residing in North Carolina with her three children. Since becoming a single mom, her passion to minister to this group has led her to encourage successful single mom living through?The Christian Single Mom?on Facebook. She is also continuing to pursue her dream of writing fiction as Laura Frances. Check out her latest book,?Wide Plank Porches, follow her journey through her?blog?or get a glimpse into her quirky thoughts and inspirations for design and writing on?Pinterest.